Version 1.0.0 Now Available! Just 99¢! Listen, learn, and practice your music theory essentials! Discover the Major and minor scales, their chords, and the circle of fifths. Explore intervals, solfège, scale modes, and more – in five languages. All presented on a single iPad screen with useful and easily accessible options for display and playback. 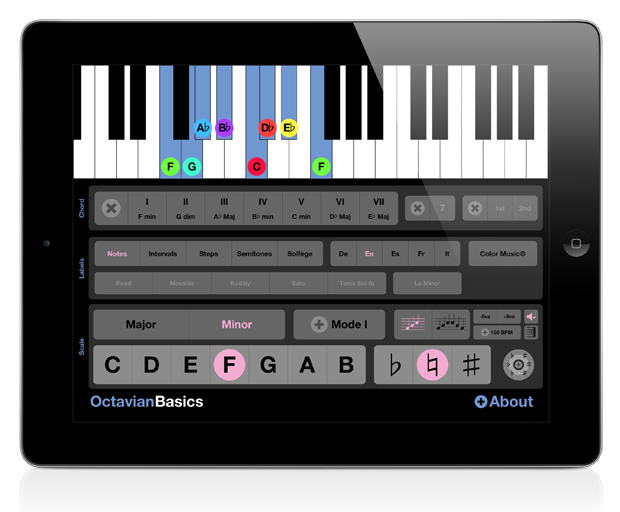 Ideal as an instructional tool for schools, classes, tutors, and choirs. Educational Discounts Available! ©2007-2012 Scott Burgess. All rights reserved.